Airbnb rental taxes raised $2.8 million in funds for a city homelessness program in its first year, the company said. 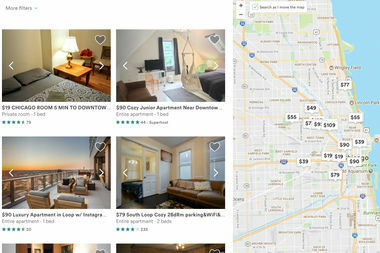 CHICAGO — Airbnb rental taxes raised $2.8 million in funds for a city homelessness program in its first year, the company said. Raised through a 4 percent tax imposed on bookings since July 2016, that figure indicates people have rented $70 million worth of rooms over a year in Chicago. The tax was imposed as a result of the city's Shared Housing Ordinance passed last year. Airbnb’s Head of Global Policy Chris Lehane said the Chicago tax is a good model for the company as it works with other city's across the world. "An important part of healthy travel is to make sure we are partnering with cities to infuse local benefits by democratizing the revenue, including generating tax dollars for critical priorities," Lehane said in a statement. Earlier this year, the city announced plans to use the funds from the tax to create 100 housing units for those at risk of homelessness near six CPS schools: Ellington Elementary School in Austin, Nicholson Elementary School in Englewood, Earle Elementary School in West Englewood, Ward Elementary School in Garfield Park, Howe Elementary School in Austin and Lowell Elementary School in Humboldt Park. In addition to the shared housing tax, Airbnb rooms are also subject to Chicago and state hotel/lodging taxes.